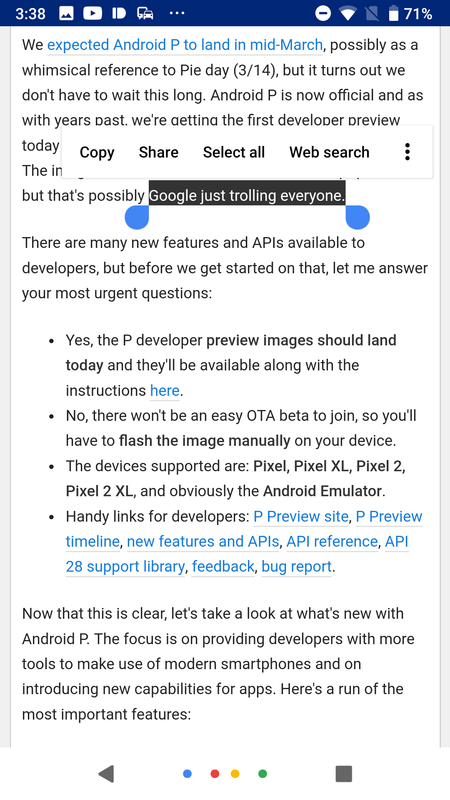 We've had a solid day of almost nothing but Android P feature spotlights, but they're still not finished. We legitimately weren't expecting this many new things in this developer preview. 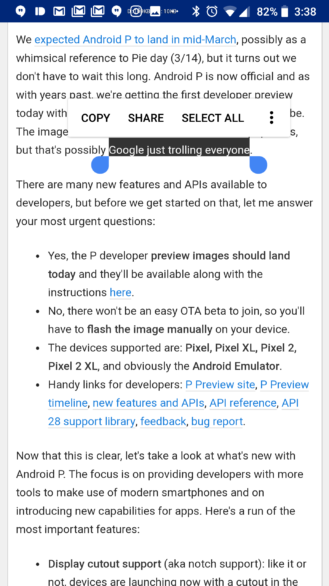 On top of all of the features already discussed, Android P introduces a revised text selection popup, though it's nothing groundbreaking. left: Android 8.1 Oreo. 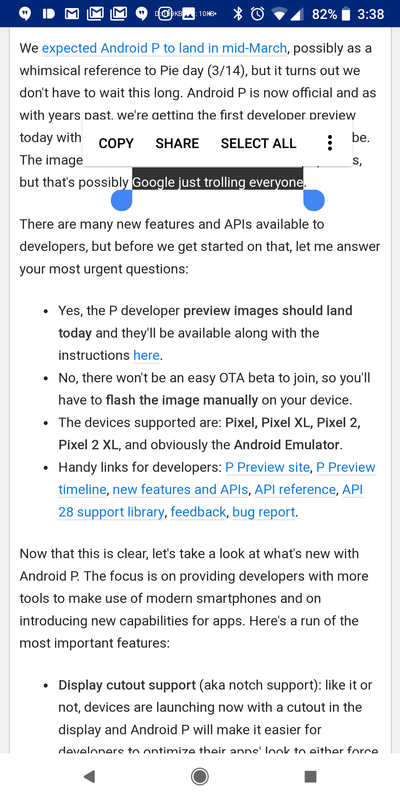 right: Android P.
There are a couple of changes to this popup, the most noticeable of which is the fact that the buttons are no longer all capitalized. It looks like it's still the same font, just not in all-caps. The new pop-up also houses one more button (Web search, which was formerly hidden in the three-dot menu). That's basically all of the revisions. I personally preferred the look of the all-caps text, though the new version seen in P still isn't bad. In any case, at least this adds some functionality, unlike what Google did with quick settings.